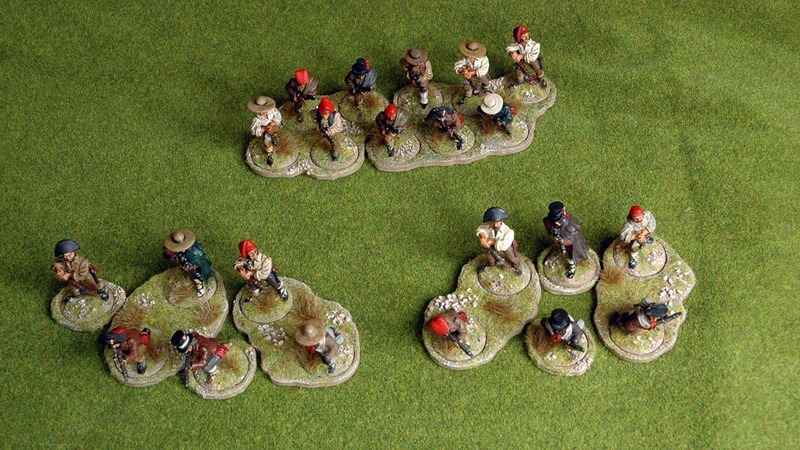 In Sharp Practice 2 Spanish Guerrilas can either operate as 10 man units of irregular infantry, or six man units of Irregular Skirmishers. As you can see in the picture above I’ve got sabots that allows me to use them as either. In the playtests we’ve done the irregular skirmishers have proved to be at least slightly useful, they’re decent enough shots at long range (as long as they can find some cover to hide in) and have a high nuisance value. If the enemy don’t do something about them, they will inflict a slow but steady toll. I’ve not used the formed up option yet, I’ll give it a go sometime, I’ve got the sabots. And discs to fill the holes left when they die. Their leaders. 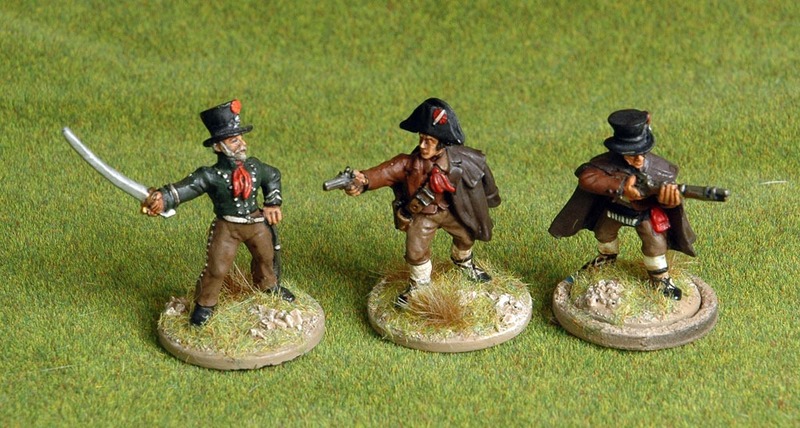 The two on the left are dedicated leaders the figure on the right does double duty, as an irregular infantryman, or a skirmisher or Leader when he’s in his sabot. 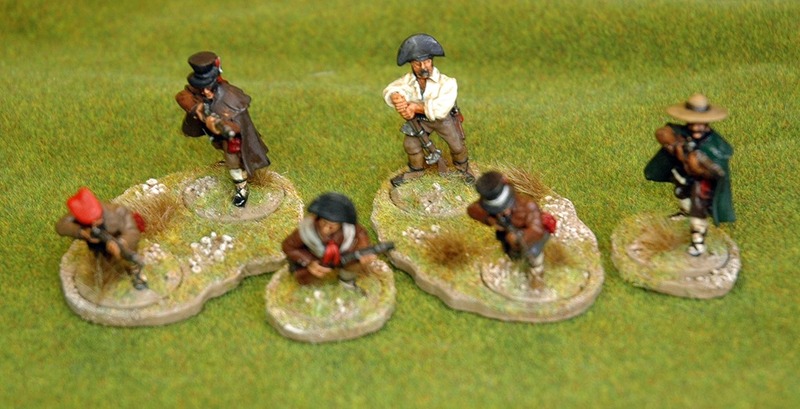 Figures are all from Front Rank, sabots from Supreme Littleness Designs.